beautiful and disturbing all at the same time. i love this. whilst most of us can no longer justify filling our pockets with old sticks of gum, fluff, interestingly shaped rocks and various plastic toys, this unofficial lego mp3 player gives the perfect excuse to get back in touch with our inner child. yay. this gorgeous chair is designed by nobodyandco and named the “bibliochaise”. 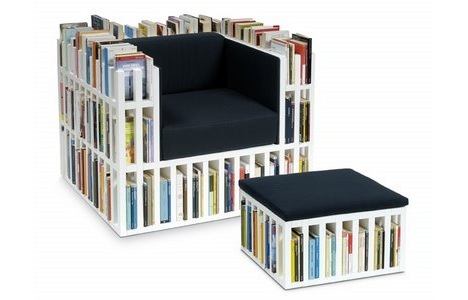 for the bookworms amongst us, or just the plain stylish, buy it here.